Developer Robert Fowler, a partner in the failed R.W. Hertel and Sons, filed for personal bankruptcy listing $127.6 million in debt, on Sept. 26. 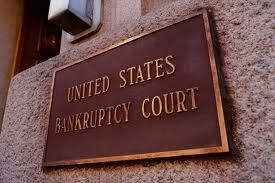 In 2009, a group of three creditors forced R.W. Hertel and Sons into involuntary bankruptcy in an attempt to collect debts of $42,000. A virtual pittance as Ron Hertel, Fowler’s business partner, asserted under oath that he personally guaranteed $145 million of R.W. Hertel and Sons’ debt. It does not appear that Hertel has filed for personal bankruptcy at this time. Fowler’s personal bankruptcy filing shows he also owes $1.5 million in federal and state taxes. The “Dram Buoy,” a 67 foot Bertram yacht owned by Hertel and Fowler, was seized in January 2009 because of concerns the developers would steer the ship from U.S. waters. Federal authorities, acting under a court under requested by City National Bank, seized the 2005 Bertram yacht including guns, ammunition and small arms, according to court documents. In addition, VFS Financing filed suit against Hertel and Fowler for a $7.15 million default loan the pair guaranteed personally for the purchase of a business jet. A meeting of Fowler’s creditors is scheduled for Nov. 8. Wow where did the moderator go?,”personally for the purchase of a business jet” back to Fowler, let me guess Gearhart’s jet Fowler’s name came up when talking to the F.B.I. early in the investigation, Heritage Oaks Bank/ Hurst Financial/Stewart Title fraud, Fowler is tied to all that scum. Not to late to get back on track the election is over. Ventura Group, LLC is located at 5200 Telegraph Rd Ventura, CA 93003. The officers include Hertel Group LLC, Harbor of Santa Barbara. Ventura Group, LLC was incorporated on Tuesday, July 16, 1996 in the State of CA and is currently active. Robert Js Fowler represents Ventura Group, LLC as their registered agent. Anybody want to make a bet? I wrote in Ben Hall’s name (I like his experience and education). Parkinson on the other had is no better or worst, but to the common nobody he has not harmed them and served them professionally. My bet is that Ian will win, even though I did not vote for him! Willie, exactly how has Cortez harmed people? That is a new one and I haven’t heard anything like that from anybody, not even a murmur. As for writing in a candidate, why even bother to vote? Do you think anyone cares that you wrote in a candidate? They don’t. It’s called acting like a spoiled child because your buddy didn’t make it in the primaries. Cindy NONE of them are my buddies! I get a sense you like Cortez, I respect your choice based on your positive perceptions. My first choice was Jerry Lenthal (because I admired his education – not a buddy) but too much negative unveiled on him. (Spoiled you say?) There is nothing wrong with sharing to others that if they don’t like what’s on the platter they don’t have to eat it. (It would surprise me if you are suggesting I am limited to either Ian or Joe. Cortez and Parkinson are both capable of being Sheriff. “No” on Parkinson because he’s a good old boy and successful opportunist not wholly honest. “No” on Cortez (I don’t see him the same as I do Parkinson. I think Cortez has more integrity than Parkinson does) although pety, across the years I have heard of families parked July 4th at Pismo Beach, coming back and finding their cars towed, having to leave their children and babies at the beach, all claiming “the same” inadequate or untimely no parking notice. Until I had to rescue a friend and loan him $300 to get his car out of tow because he left his wife and 2 year old baby at the beach, I realized why all of them cease going to Pismo any more. I knew another person (State government administrator –co worker) who fell into the same unlawful sweep “inadequate notice”, he was bare footed and too injured to walk the couple of miles on black asphalt to the tow yard (after getting his vehicle released from the PPD, He ID himself to CHP and was given a professional courtesy ride to the tow yard closed after closing and had to pay an additional $100 because they were closed!. You don’t need to know the CS interim CS contact with Cortez’s finest. Cortez is a good LE officer or military officer but not a good administrator (to me – I trust the collective sincerity of ordinary “insufficient nobody’s” hurtful experiences and have shared the sorrow CS experience of two individuals under Cortez’s administration). In politics you have the win the hearts of everyone, not just the political and business or the those connected to them but also the “nobody’s (ordinary people). You asked and the above are my collective criteria, I also respect any feedback you offer. And this whole page of comments has to do with Robert Fowler filing BK because??? Did the moderator take a day off? Scary…..
and this comment and all the comments below this pertain to Robert Fowler filing BK how??? Moderator taking a nap or a few days off? Merely being shy of a few bucks for three installments is sufficient to foreclose on you. Some because of medical expense, some becaues of other financial hardship (tax increase and inflation) and others due to their irresponsible speculation or hopes. Has anyone heard any news about whats going on with K.Guths seized assests ? ie Olive Ranch or ?? I hope Dave Congalton sets up a forum tomorrow night so that we can all watch the election results as they roll in. He was really funny last election and as I recall Karen entertained us all with the Hash House Harriers story. Maybe she has another good one for us tomorrow night? I’ll be here watching CORTEZ take the SLOCO Sheriffs race. Quit bagging on these guys … If Sheriff candidate Parkinson doesnt pay his taxes why should these guys have to? Actually Ian did pay his taxes-after flaking on them so long they went to liens against his property. Then in a public forum recently he blamed his wife for the transgression. Great guy, can’t manage his affairs or take responsibility for that lapse. Sort of reminds us of the creep we have now, Hedges. Vote Cortez. Excuse me? Who do wives blame??? Let’s be fair, here. Do we get to blame the dogs, kids, the hubby???? Wild Pigs….just hope season is open.